Summer Camp at Kiddie Junction! 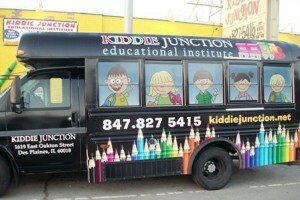 Welcome to Kiddie Junction Educational Institute! Being a parent is one of life’s most rewarding experiences, and also one of the biggest responsibilities to have. To help insure the healthy development of young children, our home away from home offers a new, high quality alternative to traditional childcare. 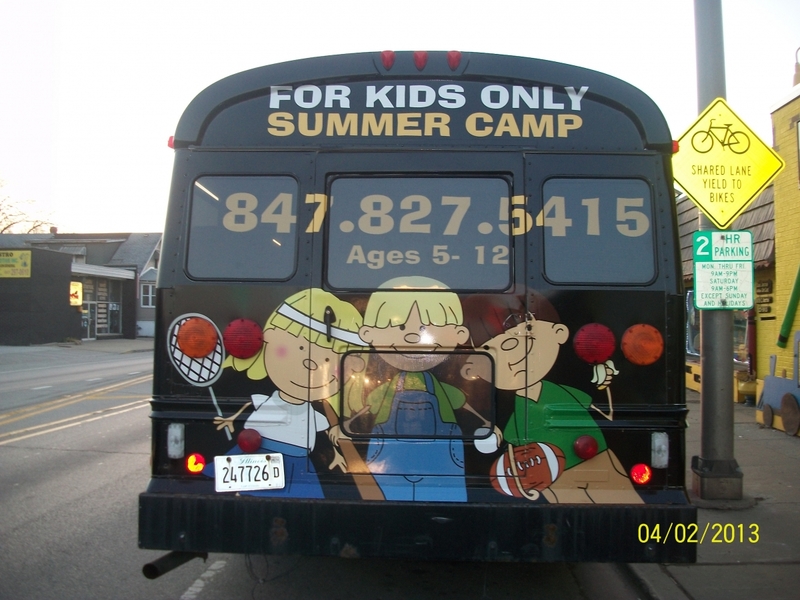 Since 1983, Kiddie Junction has been making a positive difference in the lives of children. Our warm, loving atmosphere features an extended-day program tailored to the emotional, intellectual, social and physical development of children aged six weeks to six years – including kindergarten. A safe and healthy environment is a top priority at Kiddie Junction. As a Parent, you have peace of mind knowing that your child is in a secure building with locked entries and sign-in & sign-out requirements. And with over 30 years of child care experience, we understand how to inspire your child to love learning! We are a fully licensed and accredited facility, and offer the best available equipment. Our center features a low teacher-to-child ratio, with highly qualified staff members and low turnover. We are also proud to participate in the Quality Rating System in Illinois. 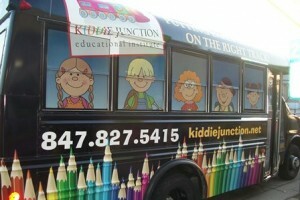 I invite you to stop in today and see why Kiddie Junction is Putting Early Education on the Right Track! P.S. 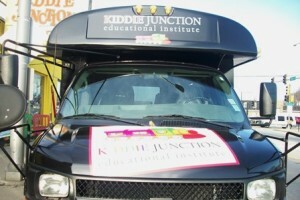 Wow–check out the amazing Kiddie Junction bus! This stylish ride keeps your child headed in the right direction–to Kiddie Junction of course! We look forward to meeting you and your child! Kiddie Junction can make the most of your child’s early learning years! Putting Early Education on the Right Track! Copyright 2019 Kiddie Junction All Rights Reserved.